WASHINGTON — Capitol Hill negotiators are hopeful of an agreement as they officially kick off talks Wednesday on a homeland security spending bill stalled over funding for President Donald Trump’s proposed border wall. Left on their own, the seasoned House and Senate lawmakers say they could easily reach a border security deal as they have for two years in a row. But whether Trump would sign it is another matter altogether. Democrats, who hold the House, remain united against Trump’s vision for a massive wall project, yet some are signaling a willingness to deal in the wake of the 35-day partial government shutdown. For their part, GOP leaders want to de-escalate the battle over the border wall and suggest they too could be flexible as bargainers, who hold their first session Wednesday, seek a bipartisan agreement. Senate Majority Leader Mitch McConnell, R-Ky., who pressured Trump last week to end the shutdown, warned the president against triggering another shutdown or declaring a national emergency on the Southwest boundary, a move that could let him redirect budget funds to building segments of the wall. But prospects for broadening the scope of the talks to include broader immigration issues such as providing protection against deportation to “Dreamer” immigrants brought illegally to the country as children — or even must-do legislation to increase the government’s borrowing cap — appeared to be fading. “I think this conference is going to be limited to the homeland security issues,” said House Appropriations Committee Chairwoman Nita Lowey, D-N.Y.
A fresh, protracted crisis could make it difficult to tackle other upcoming business such as a deal to prevent cuts to the Pentagon and domestic agencies. The longest shutdown ever was initiated by Trump after Democrats refused his demand for $5.7 billion to build segments of his border wall. 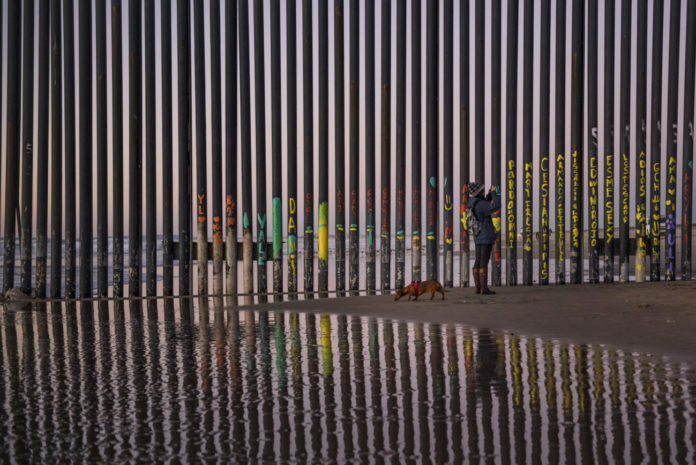 Polls show people chiefly blame Trump and Republicans for the shutdown and widely dislike the wall. The president surrendered last Friday and agreed to reopen government for three weeks so negotiators can seek a border security deal, but with no commitments for wall funds. If negotiations on the 17-member panel falter, one option would be to enact another temporary funding measure to replace the current one, which expires Feb. 15. Trump has retreated increasingly from the word “wall” as it became apparent that he lacked the votes in Congress to win taxpayer financing for the full project, which he initially said would be financed by Mexico. Democrats have repeatedly said they wouldn’t finance the wall, which House Speaker Nancy Pelosi, D-Calif., has called “immoral.” In recent weeks, they’ve expressed support for fencing or physical barriers but have left ambiguous exactly what they would back. They’ve said they want to spend money on more border patrol agents and technology like scanning devices and drones. “What we aren’t going to do is use taxpayer money to fund a political applause line,” said Rep. Katherine Clark, D-Mass. McConnell and many GOP lawmakers have long sought to avoid government shutdowns, aware of the tactic’s long and consistent history of backfiring badly on whoever sparks one. In the one that just ended, 800,000 federal workers went unpaid for five weeks, countless Americans were denied federal services and mushrooming problems included slowed air travel and delayed IRS refunds. Members of both parties have opposed Trump declaring an emergency on the Mexican border. They say it would set a dangerous precedent for future presidents who might use the strategy to push agendas that stall in Congress. If Trump issued the declaration, it would trigger near-immediate lawsuits that might block the money anyway. “Most members, whatever faction in the Republican caucus, would be opposed to a shutdown and would do everything they can to work some kind of deal,” said Rep. Mark Walker of North Carolina, a member of House GOP leadership. AP Congressional Correspondent Lisa Mascaro and Associated Press writers Matthew Daly and Jill Colvin contributed to this report.